A loan of $1,000 helped to buy supplies to increase his coffee production and income to support his family. 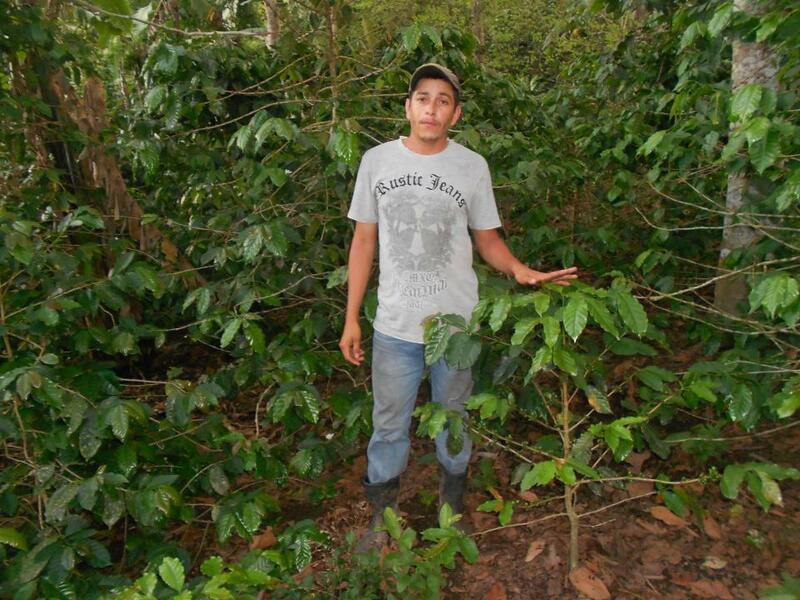 Juan is a small coffee farmer in the northern part of Nicaragua. For a long time he worked as a day laborer on several farms, but for 11 years he has had his own small coffee plot, which he operates under certification processes such as fair trade. With the technical support of the PAC association with which he is affiliated, he has created a nutritional management plan for his coffee farm. This is why he needs financing to buy agricultural supplies to allow him to have a good production this year, and with that to improve his family’s financial condition. His goal is to continue improving his small farm and expand his coffee areas, to continue growing and generating opportunities for his family. Juan es un pequeño cafetalero de la zona norte de Nicaragua. Por mucho tiempo trabajo como jornalero en varias fincas, pero desde hace 11 años cuenta con su pequeña parcela de café, la cual maneja bajo procesos de certificación como comercio justo. Con el apoyo técnico de la asociación PAC a la cual está afiliado, ha creado un plan de manejo nutricional para su cafetal, por lo que requiere el financiamiento para comprar los insumos agrícolas que le permitan tener una buena producción este año, y con ello mejorar económicamente las condiciones de su familia. Su meta es continuar mejorando su pequeña finca y ampliando sus áreas de café, para seguir creciendo y generando oportunidades para su familia. This loan is part of PAC's effort to help farmers expand their existing crop yields and increase their incomes. Coffee production loans help farmers increase their crop yields by enabling them pay to clean, prune, fertilize, and conserve their fields, deliver water, and replant trees needed to shade coffee plants. Farmers working with PAC also receive technical assistance and commercial services, as well as access to Fair Trade and organic certifications and international markets. Obtaining funding for lending operations is very difficult in Nicaragua, because the country is still recovering from the No Pago movement, during which the president encouraged borrowers to stop repaying their loans. This severely restricted loan funds available for farmers in rural Nicaragua, where PAC is focused. Kiva loans support coffee farmers to renew their fields, get Fair Trade and organic certifications, and invest in productive assets or gain access to export markets. By working with PAC, Kiva is helping farmers along the entire value chain to increase their incomes.